Get A Box Of Designer Checks For Only $5.50 + FREE Shipping (Reg. $19+)! 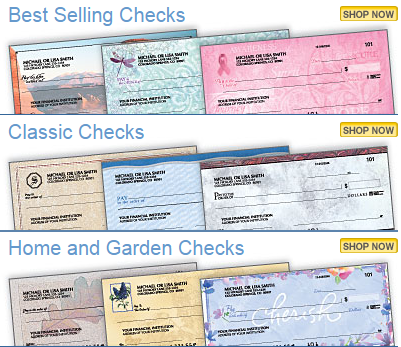 You are here: Home / Great Deals / Get A Box Of Designer Checks For Only $5.50 + FREE Shipping (Reg. $19+)! Need to order (or re-order) checks? I know I do, even though I use my debit card for everything! It’s always good to have checks on hand, even in this modern age! And of course, I have an awesome deal for you! Right now, you can snag a Box Of Designer Checks (Singles) For Only $5.50 + FREE Shipping (Reg. $19+)! They have TONS of designs to choose from! Just use coupon code TGY7 at checkout!